Is A Penny Saved A Penny Earned? I remember when I started my first business, circa 1992. Before I officially set up shop, I made sure I had two important things: a beautifully crafted, market-tested sign and the drive to make millions. My lemonade stand crushed it that summer. The sign – which consisted of glitter, glue and notebook paper (not even the kind with the smooth edge) – sent many a thirsty customer to my front yard. I made, what I thought was, a fortune. If I remember correctly, my 2nd Quarter earnings beat estimates by 200%. In total, I think I made $48 (Figures in millions – obviously). My mom wanted me to open a savings account as a safe place to stash my cash. Much to her dismay, I took the 48 hard-earned dollars I accumulated and immediately traded them for a video game. Once the video game broke from overuse, I’ll never forget what she told me. Although my mom was a genius, she didn’t come up with this phrase herself. Its roots can actually be traced back to George Herbert’s OutLandish Proverbs (1633), where he said “a penny spar’d is twice got.” In his own dyslexic kind of way, I believe he’s attempting to say the same thing. But is he right? Do you agree with George? Are you calling my mamma a liar? You may not, but I am. Is A Penny Saved Really A Penny Earned? Side Hustles, Passive Income, etc. Even though the articles come in many different formats, the benefit to the reader is ultimately the same. You can save money – or – you can make money. When you read an article about the either of the above topics, how do they make you feel? Do you feel the same when you read about the opportunities to save money as you do the opportunities to make money? If you’re anything like me, you don’t. Saving money focuses on things you do. Making money focuses on things you CAN do. Picture yourself saving as much money as possible. In order to do so, you’re removing all the luxuries of life. No tv. No fine dining. You’re essentially removing all of the “fun stuff.” On the contrary, picture yourself making as much money as possible. You’re now taking all the “fun stuff” you just removed, and cramming it all into one extravagant room. As you can see, earning money is far more exciting than saving money – and as an added bonus there is a limit to how much you can save – but the amount you can earn – is limitless. This limitless potential to earn is one of the concepts I will be focusing on as a staff writer for Prairie EcoThrifter. So, have you thought of ways to earn more money? What kinds of things have you tried? This post was written by Funancials. A penny saved is more than a penny earned. Specifically, a penny saved is a penny earned plus (a penny times your marginal tax rate). So if you were in a hypothetical 25 percent marginal tax bracket, a penny saved would be $.01 + ($.01 * ,25) = $.0125. I believe passive income is earned too. It’s just earned during the acquisition or creation of the assets. Typically, somebody expended effort to own the income-producing asset. Great point! Even investments in index funds have to be funded by underconsumption. Passive income is definitely earned. Did I say that it wasn’t!? I think both are important, to save and to earn extra. The key is to find the right balance. My problem is the balance that you mention. I work extremely hard to earn more and try so little to save more. I can spend 3 hours earning $60, turn around in 20 minutes with zero thought and spend it. I need to work on this.. Exactly! Thankfully right now, what I enjoy doing…is writing about personal finance. I’m sure you’d say the same. 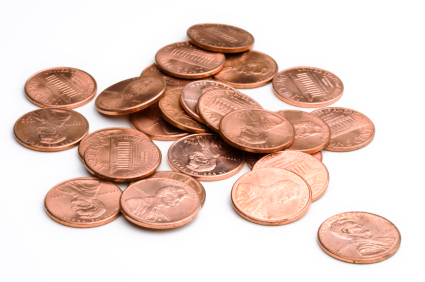 A penny saved is better than a penny earned, because a penny earned is only half a penny after taxes. However, you are right about the tradeoffs and ultimately I think you want to be both saving pennies and earning more of them as well. I would have to disagree since anything earned is more than you had before, which is the key to accumulating wealth. Simply saving is only preserving while earning is growing regardless of the pass at which it grows. I’m siding with Eric here…Growth feels better than preservation and earning feels better than saving. 2012 is a year where I am increasing my outside income. I am focusing on development and investing too. Krant- is blogging the only “outside income” you’re referring to -or- do you have a few other projects you’re working on? I plan on increasing my investment too, it’s gonna be a bright new year! Aaron- I noticed you have the OMB badge on your site but your name isn’t on the OMB blogroll…You need to get this fixed and best of luck! 2012 will be the year of saving (what we earned) for us both! I’ll be sure to track your progess. I currently implement a few things to make money. We make money consulting – but 2012 will be different. We are getting ready to generate income streams by not selling our time. Great post. I agree a penny saved is not the same as a penny earned. That being said our family is currently reducing our expenses to the lowest level possible. This way when my husband switches from corporate employment to self employment there will be less pressure about how much he needs to earn. WE want to make the switch as his job has a cap on how much he can earn, but that cap is non existent when you’re self employed. I am glad to hear you are taking such a planned approach to this. Many people don’t give these factors a thought before doing something like switching jobs. I hope it all works out for you.